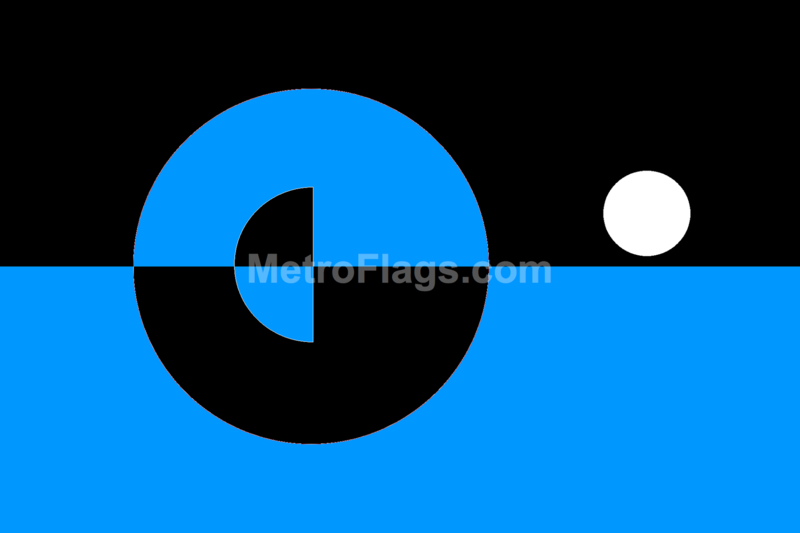 The Flag of Earth, designed by J. Alfary, represents humanity and the Planet Earth itself. Blue stands for humanity, hope, water, life, the atmosphere, respect for our environment, and the skies that allow humanity to travel and explore. Due to our vast blue oceans, Earth is often called "The Blue Planet". Black stands for the darkness of space surrounding the Earth that separates and unites us with other worlds and the many hardships and sacrifices that humanity has overcome. The Blue and Black half spheres also represent both day and night, while the inner half sphere represents the astronomical symbol of Earth. The white sphere represents our Moon, situated just above Earth's ecliptic plane.